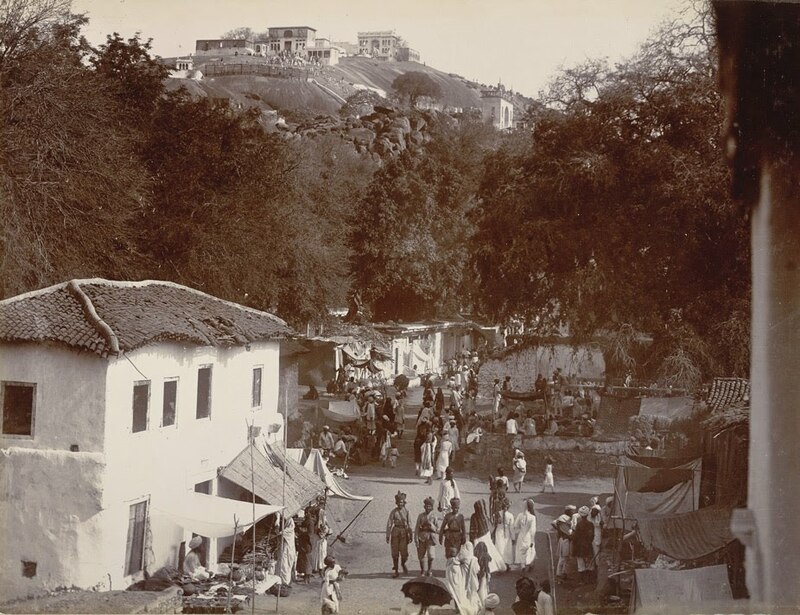 Photograph of Maula Ali Hill, from the Macnabb Collection (Col James Henry Erskine Reid): Album of Indian views, taken in the early 1900s. The view was taken in Secunderabad, Andhra Pradesh and shows a bazaar with Maula Ali Hill in the background. The Shrine of Maula Ali is located on the hill, together with a mosque and other ancient ruins including an old fortress and a large prehistoric cemetery.